Images of a physician shining a penlight into the eyes of a patient to assess the pupil response to light are universal. Pupillary examination has long been a critical component of neurological assessment, but traditional methods are subjective, inaccurate, and prone to variability and error. Historically, before the advent of electricity, clinicians checked a patient’s pupillary reaction to light using a candle. Numerous studies have shown the importance of pupil evaluation in the clinical setting, and pupillary information is used extensively in patient management and as an indication for possible medical intervention. The American Association of Critical-Care Nurses (AACN) Procedure Manual for High Acuity, Progressive and Critical Care, 7th Edition, features a new section on pupillometry, noting that the pupillary examination is a key assessment performed during neurological examinations and guiding nurses on the use of automated pupillometers. The new edition of the American Association of Neuroscience Nurses (AANN) Core Curriculum for Neuroscience Nursing, 6th Edition, includes a new section on automated pupillary assessment, which states that use of a pupillometer removes measurement subjectivity and provides a way to track and trend pupillary reactivity in a consistent, objective, and quantifiable way. Traditionally, pupil measurements have been performed in a very subjective manner by using a penlight or flashlight to manually evaluate pupil reactivity, and using a pupil gauge to subjectively estimate pupil size. Automated pupillometry provides accurate, reliable, and objective pupil data—independent of examiner—resulting in a significant quality improvement for this important component of the neurological examination. 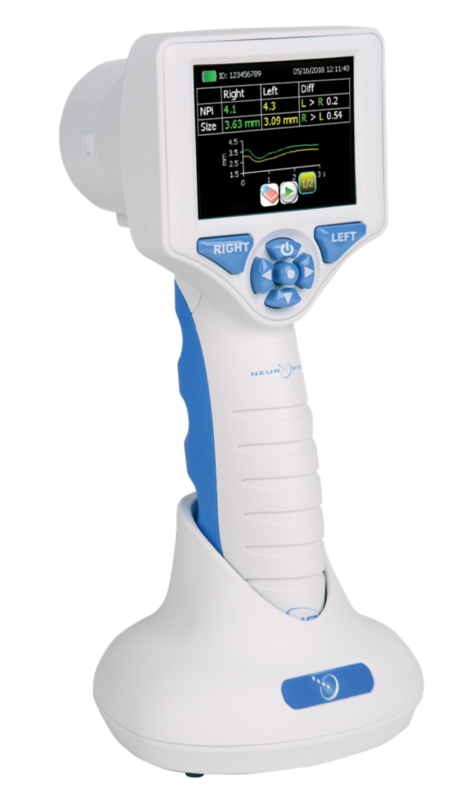 The NeurOptics NPi®-200 Pupillometer is a portable, hand-held, infrared device that provides a reliable and objective measurement of pupillary size, symmetry, and reactivity through measurement of the pupillary light reflex. The numeric scale of the Neurological Pupil index (NPi®) allows a much more rigorous interpretation and classification of the pupil response than subjective assessment. The most effective way to use the Pupillometer is to establish the earliest possible baseline measurement when the patient is admitted into the critical care unit or emergency department, and then trend for changes over time. Automated pupillometry and the objective NPi scale benefit clinicians and patients by removing subjectivity from the pupillary evaluation, providing more accurate and trendable pupil data, and allowing earlier detection of changes for more timely patient treatment. Despite best intentions, entry errors during charting and manual upload of pupillary data can occur. With automatic upload of data directly from the Pupillometer, the possibility of data entry error is eliminated. With the NPi-200 Pupillometer System, patient data can be uploaded into the hospital’s electronic medical record (EMR) system, saving valuable nursing time and eliminating potential charting errors. 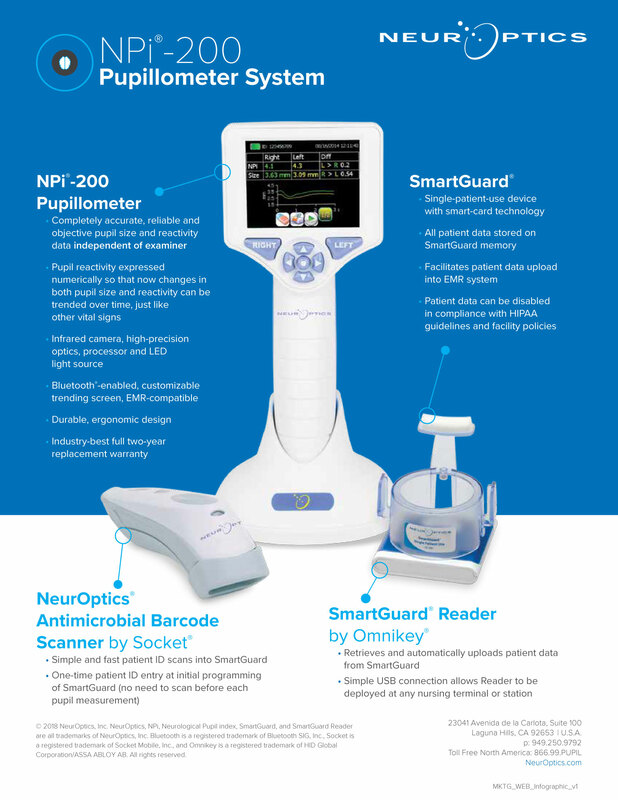 The optional SmartGuard® Reader allows automated patient identification entry and upload of data to the EMR. 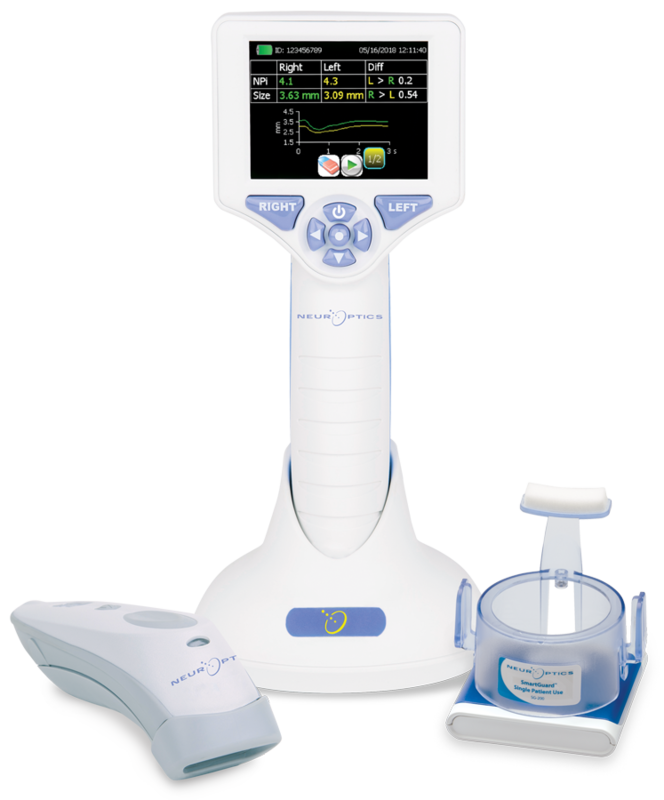 NeurOptics Pupillometers have been adopted in more than 400 critical care units across the U.S. in Level 1 and Level 2 trauma centers, Comprehensive Stroke Centers, and Primary Stroke Centers. 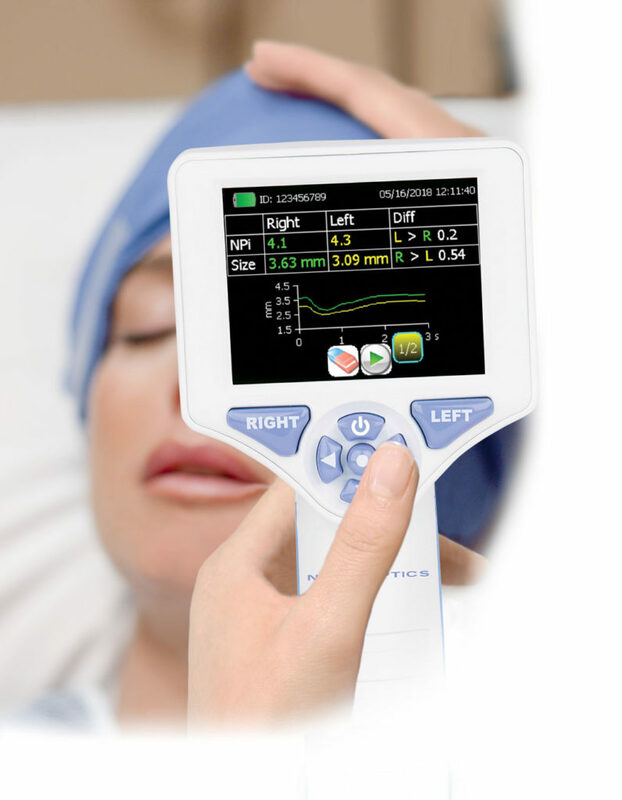 Academic institutions are now adopting pupillometry as a standard of care in their neurocritical care units by equipping their staff with Pupillometers in every patient room, including Yale-New Haven Medical Center, Stanford University Medical Center, Legacy Emmanuel Medical Center, and University of Utah Medical Center. More than 25 pediatric institutes utilize automated pupillometry, including Boston Children’s Medical Center, Massachusetts General PICU (Harvard), St. Louis Children’s Hospital, Northwestern Medicine Central DuPage Hospital, University of California at San Francisco PICU, and Children’s Hospital of Orange County (Calif.). NeurOptics® is the leader in the science of pupillometry. Driven by a passion to help clinicians improve patient outcomes, NeurOptics develops and markets innovative technologies facilitating improved medical decision making and enabling clinical research in critical care medicine, neurology, neurosurgery, emergency medicine, ophthalmology, and research. Headquartered in Laguna Hills, California, NeurOptics, Inc. is represented in over 20 countries worldwide.